Instant Circuit is a swedish trio from Stockholm/Falerum making Electro-acoustic improvisations. Instant Circuit started as a duo in April 2009 by Magnus Frenning and Magnus Alexanderson to explore improvised electro-acoustic music (electric, sampled and electronically generated sounds). The duo performed together with the prominent reed/wind instrumentalist Geoff Leigh (UK) and the vocalist & perfomance artist Carin Lundhquist at Fylkingen in oct, 2009. In april 2010 Carin joined the group. From Stockholm and Falerum, Sweden. Instant Circuit includes an invisible member. Magnus Frenning has developed a software that is a kind of agent which expands the electronic percussion into something significantly larger. It is based on a calculation of frequency tonal and acoustic relationships and is based on the ”Quality of Fit” algorithm as described in the book ”Introduction to the Physics and Psychophysics of Music” by Juan G. Roederer. 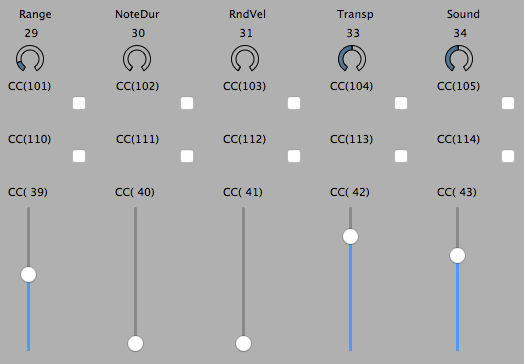 The program keeps track of what tones are generated and continuously produce new frequencies that ”fit” to what already sounds. 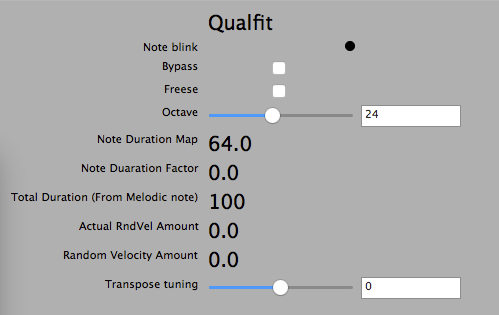 It is possible to set different preferences for which tonal qualities to be generated and the setting is made according to the personal taste of Magnus, who also has control of when tones are generated and to what sound. 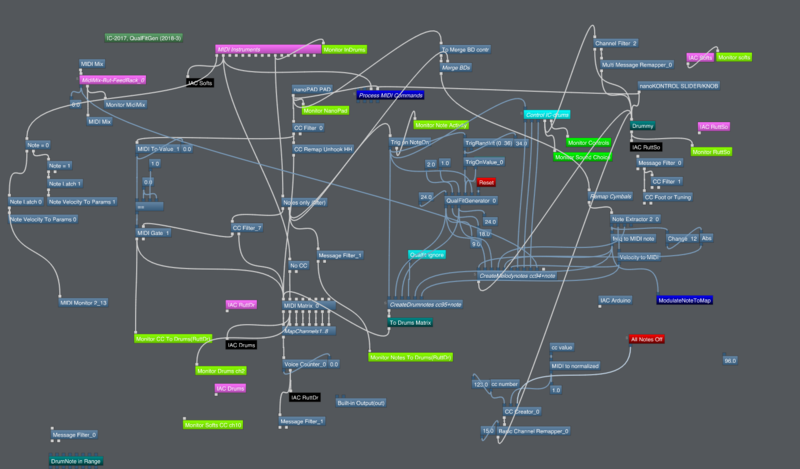 Magnus studied Electro-acoustic composition/EAM (1986-1987) at Electronic Music Studio (EMS) in Stockholm / KTH. He took the 2-year course Music (1981-1983) at Birkagården folk high school in Stockholm and the course Interpretation of Contemporary Music (1977-1978) at Fylkingen/Birkagården. Magnus has been playing drums since his teenage years in various rock and blues contexts. Since about 1975 also jazz with emphasis on free form. He was one of the founders of free-form group Lokomotiv Konkret, along with Dror Feiler, reeds, Leif Ahlberg, reeds flute, Bjorn Wallgren, guitar and Thomas Sjöland, bass. After a few years with Lokomotiv Konkret Magnus started a period of experimentation with mainly Balkan-inspired jazz in various formations. Around 1980 he joined the Stockholm based fusion jazz group Lynx with Peter Lundén, synth. flute, Åke Stjernström, guitar and Tryggve Wennström, bass. The group played for several years and was involved eg in Swedish Radio (P2) and Swedish Television besides various music venues around Stockholm. Since 1997 he is, with his wife Carin Lundhquist, a member of the experimental pop group Grape as drummer and percussionist. 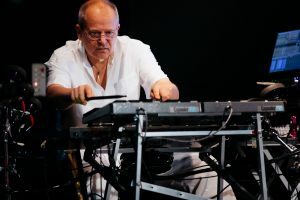 Magnus made his debut as a composer of electro-acoustic music, 1988, after undergoing EMS EAM course, with the piece ‘Grind‘ (‘Gate’) which was premiered at a concert in Fylkingen premises. Magnus has also composed ‘Kopplingen‘ (‘The Connection’). Both these pieces were also presented at a number of festivals for contemporary music in the years 1988-90 and SR P2. Registered and archived at Swedish Music – The new sounds of Sweden. Magnus Alexanderson studied Electro-Acoustic Music Composition under the guidance of Lars-Gunnar Bodin, Rolf Enström and Tamas Unguary at Electronic Music Studio in collaboration with the Royal Academy of Music in Stockholm between 1980 -1983 and in addition received private tutorials in instrumental composition with composers Lars Sandberg and Mikros Maros. Magnus was involved in the scene of improvised music in Stockholm during the 1980s with the groups Fontana Mix (1978-82) and Transient Music (with Paul Pignon and Raymond Strid in 1986-91). During that period he became a member of the artist-run venue Fylkingen and was involved in various activities for promoting all kinds of experimental and electronic music. In 1991 Magnus formed MASH with visual artist Sachiko Hayashi. MASH’s focus has been exploring various aspects of (inter-)relation between audio and visual, resulting in experimentations in several formats: multi-media performance, single channel videos and audio-visual interactive. 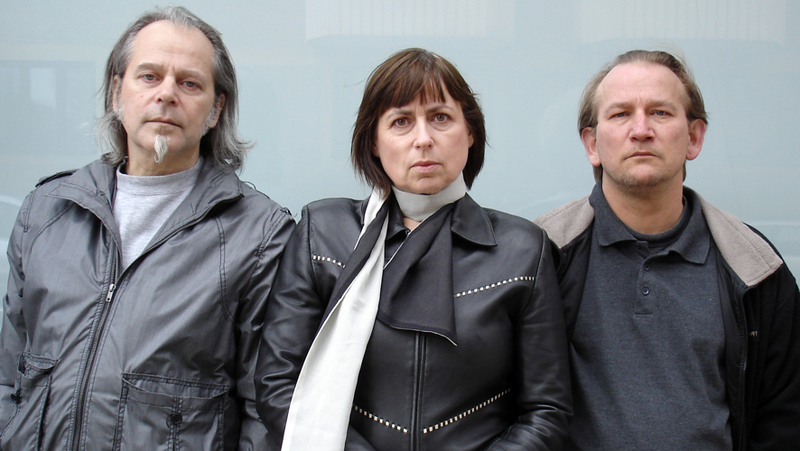 Their first project ”FU” received a project grant from The Swedish National Council for Cultural Affairs. 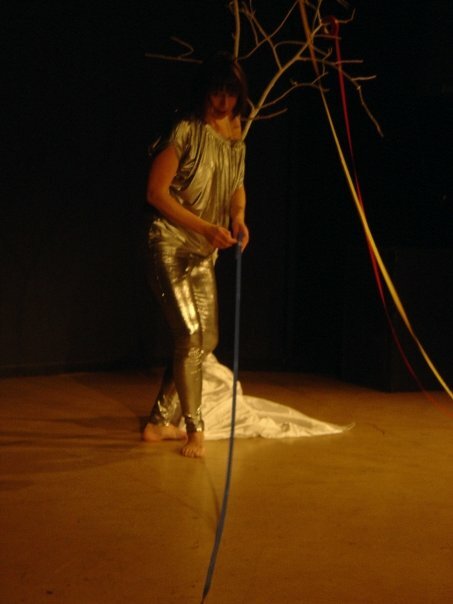 Between 1991 and 1992 ”FU” engaged a Butoh dancer, a modern dancer and a violinist, travelled through Sweden and were shown at 6 different cities including Folkens Museum in Stockholm and Uppsala Museum of Art. MASH video works have been shown widely internationally at such venues as Not Still Art Festival in New York (2002), European Media Art Festival in Osnabrück, Germany (2002), Transmediale in Berlin (2003), Boston CyberArt in Mass. USA (2003), and Radiator – New Media Art Festival in Nottingham, UK (2003). One of MASH videos, ”Stretched in Dark”, was commissioned by the National Council of Concerts in Sweden. The whole trilogy was chosen by the same institution for a national tour and was shown at 8 different cities in Sweden. The music of ”FU” and ”Stretched in Dark” are included on audio CD ”Stretched in the Dark,” a compilation of EAM works by Magnus Alexanderson, released by Elektron, 2006. His electro-acoustic music compositions have been performed at various venues throughout Sweden. In 2001 he was commissioned by the University of Linköping, the City of Norrköping and the Swedish Ministry of Foreign Affairs to compose for the opening event of EU Commissioner meeting in Sweden. He has been a guest lecturer on EAM at the University of Linköping between 1992 and 1996, and since 2009 he has been a lecturer/educator of Sound Culture at the same university. 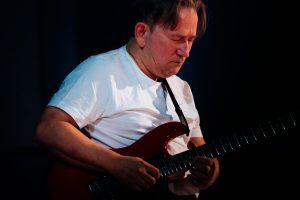 As a guitarist he has continued from the 1990s working in various contexts involving electronic,notated and improvised music. His collaborators include Geoff Leigh, Jair-Rohm Parker Wells, Grant Calvin Weston, Tony Bianco, Sten Sandell, Gary Smith and Bela Emerson amongst others. The first CD of ”Decision Dream” (Jair-Rohm Parker Wells, Tony Bianco and Magnus Alexanderson) was released by Canadian label Red Toucan in 2005, receiving international critical acclaim. During the last decade he has also been involved in various projects with composer/performers Lars Bröndum, Jonas Broberg and Girilal Baars. Electronics: VOICELIVE 2 , DITTO MIC LOOPER and a midikeyboard. In 1979 Carin started working with jazz pianist Per Henrik Wallin at the Ad Lib-79 seminar/workshop at Musikhögskolan, Stockholm. Carins fascination in vocal soundmaking was then realised in the tape composition ”Isvagga” (Cradle of ice) for voice and percussion, 1980 (listen at Soundcloud). Carin met/studied for Joan la Barbara and then went to Amsterdam to study for Dorothy Dorow. In musicology Carin explored ”Extended vocal techniques” as a crossover phenomena, from rock and jazz to contemporary music. While studying Musicology she took private lessons for Kerstin Ståhl (Harpans Kraft) and Majbritt Lannfjäll. Carin participated in works by Thomas Jennefelt (Modern Museum, Sthlm) and Susanne Valentin (Music dramatic group, Swedish Radio). In 1982 she started the free form duo Cajlas with Lasse Jonsson (perc) and performed at the Spräck festival, at Stockholm Music Museum (listen at Soundcloud). 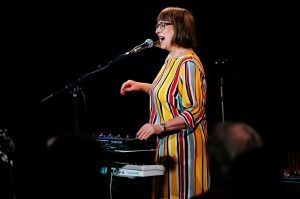 After a longer break Carin co-produced/performed in the cabaret group Franska kort (1992-1994) with Marie-Chantal Long (vo) and Håkan Möller (pi), performing her own lyrics in Swedish (repertoar of Barbara/Brel/Piaf). In 1994 Carin started writing music again, this time with computer aid. She recorded the demo Månstråle which gave her a large STIM grant (1994) for her songs. Carin continued writing songs and produced the record Carin & Inblanco which was played at Swedish Radio, 1996. In 1997 Carin started the group Grape, an experimental pop-electronic duo with Magnus Frenning (dr) and touring with guest musicians such as Jair-Rohm Parker Wells (bass) and Hans Thunberg (gu). 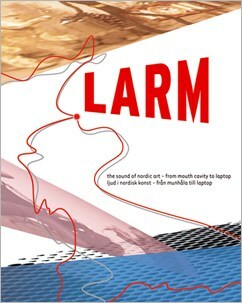 Carin is represented in the book: ”LARM – From mouth cavity to laptop: sound of Nordic art”. Read the article about Carin here. Read more about the whole project: Larm http://www.larm-festival.se.